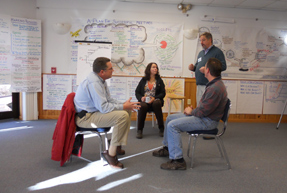 Learn to design and facilitate meetings that enhance problem solving and minimize conflict. This 2-day, NOAA-facilitated course provides the skills and tools to design and implement collaborative approaches. These skills are beneficial to both meeting planners and participants to get the most of group problem solving.